Last March, Defense Secretary Jim Mattis told the military to stop being so publicly honest about the things it cannot do. Multiple stories about ground units that could not deploy, aircraft that could not fly, ships that were wearing out didn’t help. That type of public transparency no longer was encouraged. Whatever the reality was behind closed doors, the public message from then on, Mattis encouraged, was to be one of strength. But this has created problems for top military leaders as they prepare to testify before Congress to ask for more money. Mattis never provided specific rules on what military leaders can and cannot say. “I wanted to pass along some guidance from Secretary Mattis. He wants us to be cautious about publicly telegraphing readiness shortfalls,” then-Office of the Secretary of Defense director of press operations Navy Capt. Jeff Davis told the military’s senior public affairs officials in a memo obtained by Military Times. It was “message received” for military officials, who quickly re-evaluated what they were saying in testimony, what media engagements were occurring and how to communicate moving forward. The difference in transparency has been felt on Capitol Hill too ― by the very lawmakers who will be responsible for convincing members not serving on an armed services committee that the military’s aircraft, ships and ground forces need more money. On Thursday, Pentagon Press Secretary Dana White said the services had not received direction to keep quiet on readiness shortfalls. White said sometimes there would be the need to discuss readiness challenges with Congress in closed sessions, but that military leaders would keep communicating the state of the military’s readiness. “The American people need to know that we are ready to go tonight,” White said. In the 2017 guidance, Mattis urged the forces to continue to engage with the press — but corral the message provided. The caution came after Mattis saw media reports in early spring 2017 that concerned him, two defense officials said who spoke on condition of anonymity. Mattis thought the stories had enough details about the challenges faced by ground units that were not ready to deploy and aircraft that could not fly as to broadcast U.S. vulnerabilities to potential adversaries. 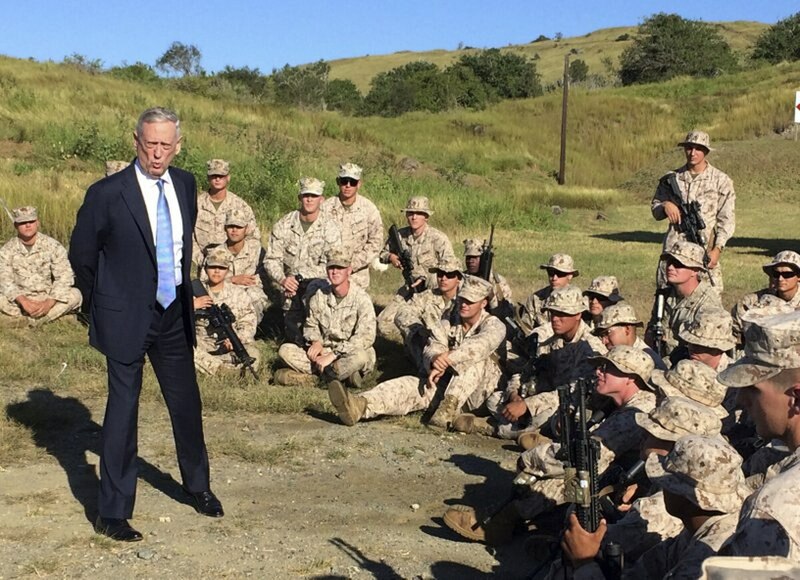 In his most recent talk with reporters, Mattis said that readiness has improved in his first year as defense secretary — but provided no statistics to support the assertion. One defense official who spoke on condition of anonymity said the directive was not meant to be a gag order but a way to stop what has been viewed as a growing tendency by military leaders testifying before Congress to emphasize how bad off their forces were, the official said. As the services prepare for televised 2018 budget testimonies, there have been questions on what they can actually say, multiple officials said. The services still face significant challenges in being able to generate the forces needed for future conflicts. The language military leaders are choosing to use has become more blanket, less transparent and harder to evaluate whether the state of the military’s readiness is improving or further eroding. For example, in a request to the Army on aircraft inventory, only ranges of numbers were provided, and no information on the number of those aircraft that are currently able to fly — a piece of data reporters have regularly obtained for years as a way to track the health of the force. In the Navy, the two fatal collisions in the Pacific last year forced it to remain more transparent through Congressionally mandated reviews such as the comprehensive review it undertook of the state of its fleet following the fatal accidents, a Navy official said. In recent public statements, officials have been more general in what they say the Navy still needs.